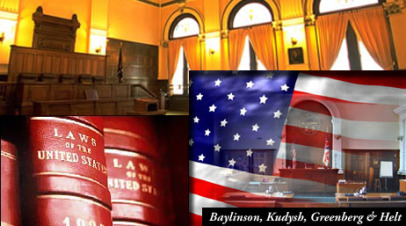 Our expertise and solid reputation place Baylinson, Kudysh and Greenberg as one of the premier commercial collection law firms in the market place. The firm handles cases throughout the entire state of Maryland, Washington, DC, and the Northern Virginia suburbs of Washington, DC. For regional, national and international clients, we have developed effective tools to represent each client according to their individual needs and provide practical, rapid and cost effective responses as required. If you have any questions relating to our firm, the regions within which we practice and our ability to provide result-oriented collection services to you, we welcome your contacting us for further information.